Tonight’s the night! 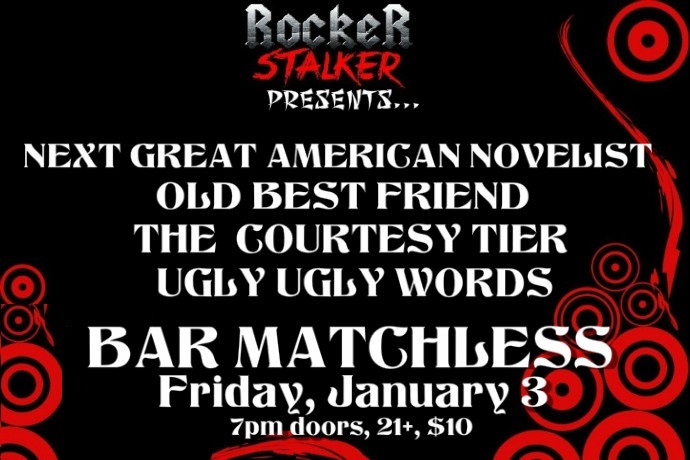 It’s the first Friday of the new year and I’m ringing/rocking it in with The Next Great American Novelist, Old Best Friend, The Courtesy Tier, and Ugly, Ugly Words at Bar Matchless! Come brave the cold! Doors at 7pm, $10, 21+. RSVP here!